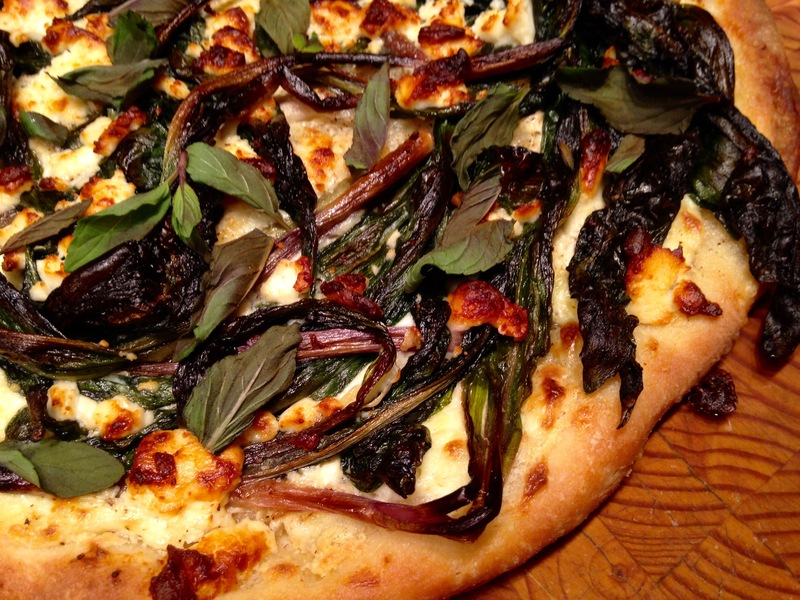 This entry was posted in main courses, vegetarian and tagged feta, mint, pizza, ramps, ricotta by Jasmine Nielsen. Bookmark the permalink. Now I want pizza. I haven’t tried pizza with mint on it before i’ll have it give it a try. The mint was new to me as well, but I had purchased some at the farmers’ market and was operating on the theory that things that grow together go together. It released a lovely aroma when sprinkled on the hot pizza and added a pleasing freshness to the finished product.